RIO DE JANEIRO, July 13 (Xinhua/Sun) -- Argentine soccer star Lionel Messi won FIFA's Golden Ball award here on Sunday after the final match in which Messi failed to lead his side to World Cup trophy. Germany won 1-0 with substitute forward Mario Gotze scoring the winner in the 113rd minute. Barcelona forward Messi beat off competition from German's Mats Hummels, Toni Kroos, Philipp Lahm and Thomas Muller, teammates Angel Di Maria and Javier Mascherano, as well as Brazil's Neymar, Netherlands winger Arjen Robben and James Rodriguez of Colombia, who were all named on the shortlist. 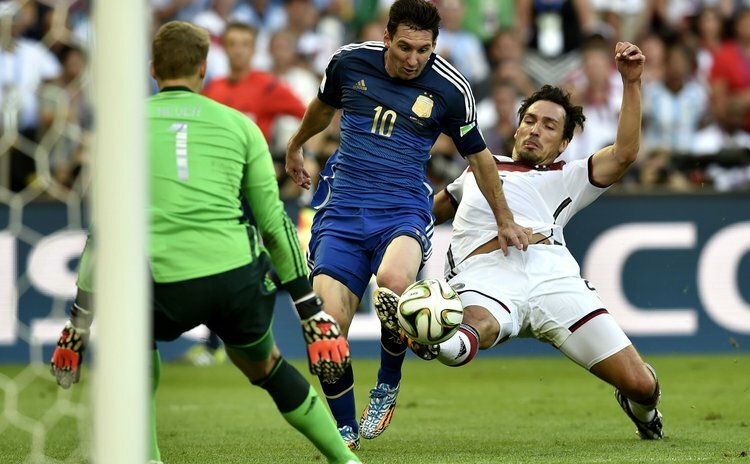 Messi became the best player of the 2014 World Cup with four goals and one assist to help his nation to their first World Cup final since 1990. Despite missing out on the Golden Ball, Rodriguez won the Golden Boot with his six goals in five games for Colombia. Muller had the chance to win the top scorer award for his second World Cup, yet failed to score in Sunday's final. He finally collected five goals. For other awards, German keeper Manuel Neuer won the Golden Glove award. He kept four clean sheets, saw off competition from Keylor Navas of Costa Rica and Argentina's Sergio Romero. France midfielder Paul Pogba, 21, claimed the Young Player Award after beating compatriot Raphael Varane and Memphis Depay of the Netherlands. Colombia received the Fair Play Award for completing the tournament with the best disciplinary record.